It’s the most wonderful time of the year. 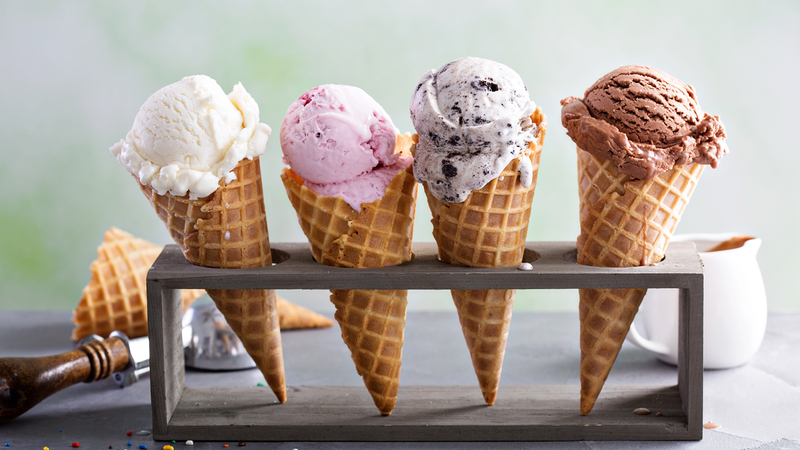 No, we don’t mean the holidays – we mean Free Cone Day at Ben & Jerry’s. This year, Free Cone Day falls today, April 9. From 12 p.m. to 8 p.m. local time, you can line up to get a scoop of your favorite Ben & Jerry’s flavor, in a cone or a cup. It’s really that simple! The chain has been celebrating Free Cone Day since 1979, their first year of business. It wasn’t until 1988 that Scoop Shops outside of Vermont (the company’s home state) celebrated Free Cone Day too, and now it’s one of our favorite days of the year. In 2015, the company served up more than 1,000,000 scoops (yes, you counted those zeros correctly), and lord knows if I end up in line this year they just might beat that record. Free Cone Day is also the perfect chance to try out a new flavor. After all, you’re not paying, so why not risk it? And Scoop Shops around the country are serving two new flavors right now: There’s Sweet Like Sugar, featuring sweet cream ice cream with almond flavor and shortbread cookie crumbles swirled with cherry ice cream and cherries around a core of sugar-cookie dough; and the other flavor we can’t stop thinking about is the new Wake & No Bake, a vanilla ice cream loaded with peanut butter cookies and swirled with peanut butter ice cream and fudge chips, all around a no-bake cookie-dough core. Honestly, it might be worth getting in line twice just to try both? While other ice cream heavy-hitters tend to give away free or discounted ice cream on National Ice Cream Day (which falls on July 21 this year), Ben & Jerry’s keeps its Free Cone Day special. “Every time you enjoy a scoop of Ben & Jerry’s, you’re showing us how much you care. We love you too, & Free Cone Day is our favorite way to show it,” the company said in a statement. They love us, we love them, and most importantly, our taste buds freaking love ice cream. Why wait? We’re getting in line at our local Scoop Shop now.